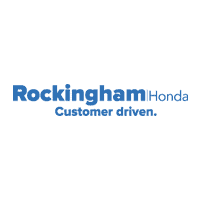 New Honda SUVs like the Honda CR-V, Honda HR-V, and Honda Pilot are available for sale in Salem, NH at Rockingham Honda. No other car company puts a premium on making comfortable and spacious SUV interiors, equipped with the latest available Honda Sensing™ Safety Suite, than Honda SUVs. Our Salem Honda dealership has lease offers and financing options on every Honda SUV for sale. Contact our Honda dealership to learn more about how you can take a Honda SUV home to Haverhill or Windham today. Our Salem Honda dealership also stocks a wide inventory of used SUVs and pre-owned cars for you to choose from. Get in touch with our Honda dealer today to find out more about Honda cars and SUVs.